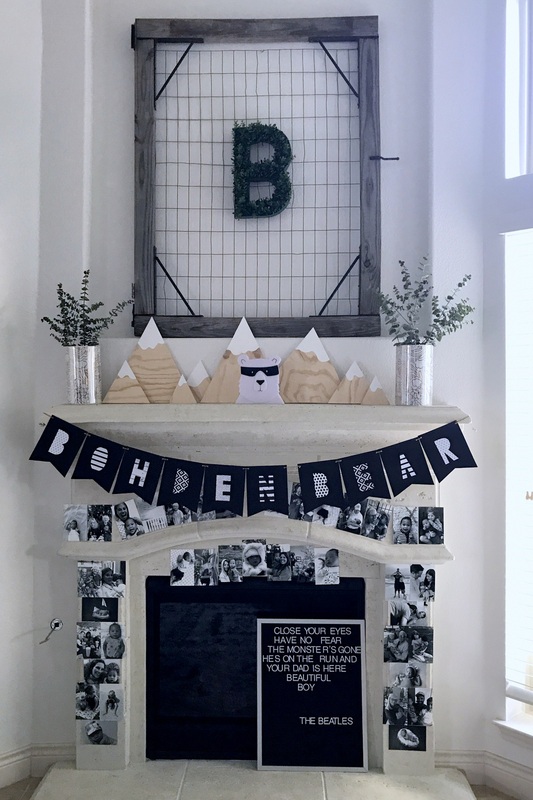 Since we call Bohden “bear,” and since his little nursery has a (loose) mountain theme, we didn’t look far for a First Birthday (slash Happy Adoption Day) party theme- mountains and woodland creatures and bears (oh my!). 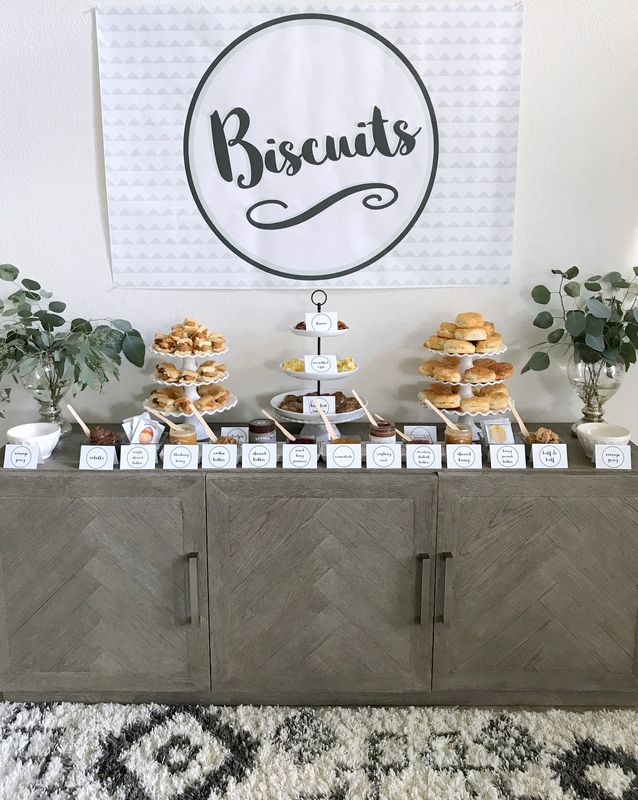 Bohden pretty much loves food (all food), but has a special place for ChickFilA chicken biscuits, so we made a “Biscuit Bar” with all sorts of yummy fixins’ the launching point for our brunch menu. 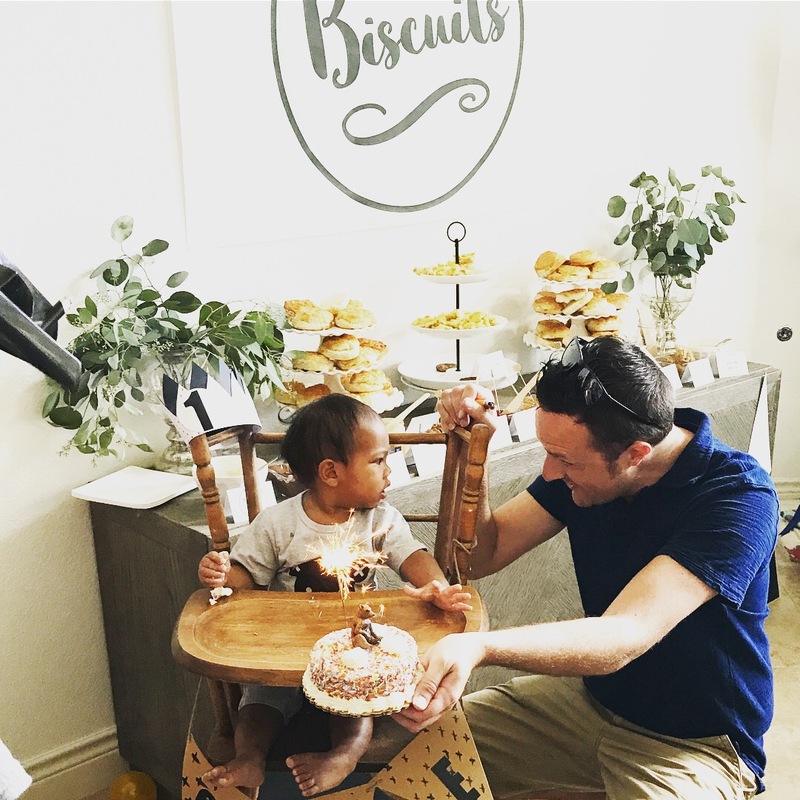 Sidenote- it’s kind of funny that Adam, Burke and Bohden are ALL smitten with biscuits, right??? Remember Burke’s Biscuit Bar from once upon a time? 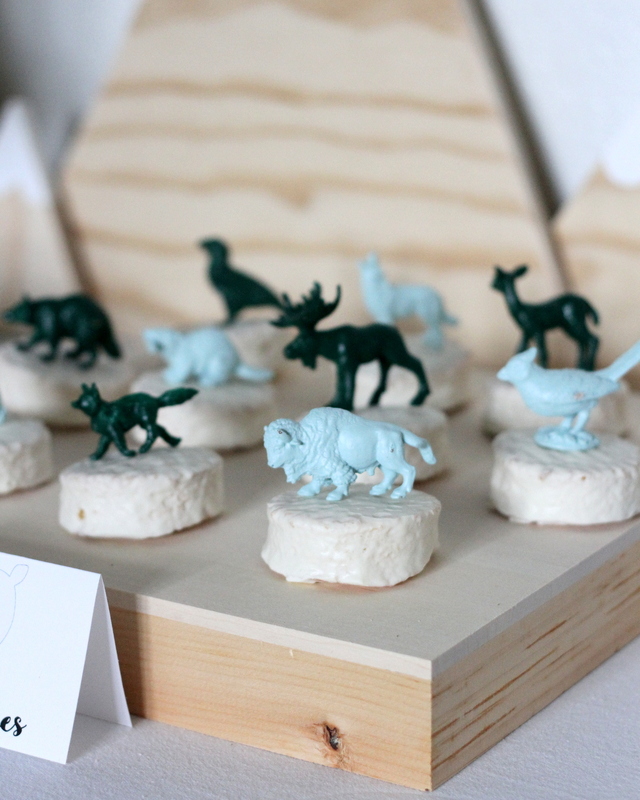 I have a feeling that these two Biscuit Bars are not the only ones I will put together. 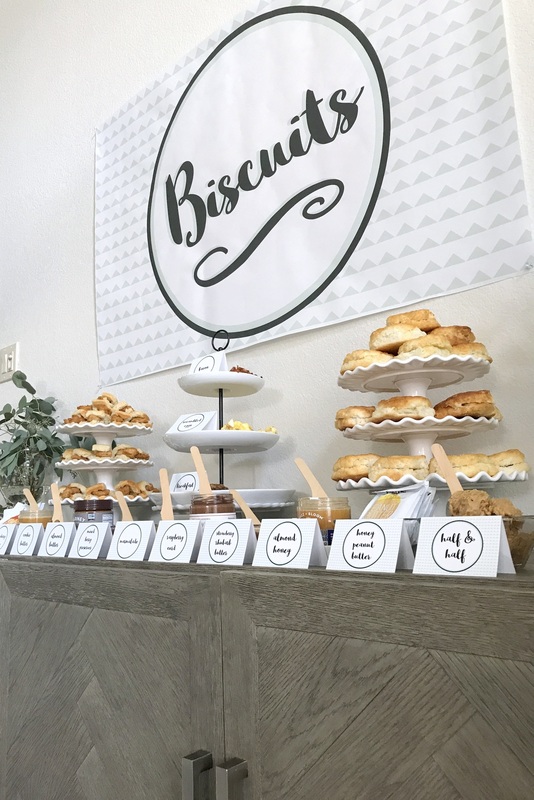 Besides the Biscuit Bar, my dad was in town and declared himself our sourdough waffle chef for the party (he’s the best!). 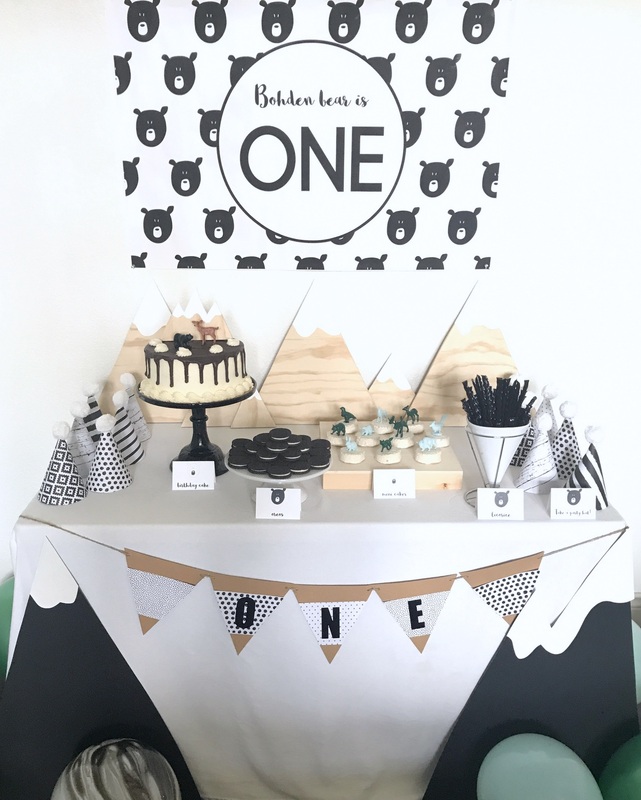 We also had a little treat table with black and white treats- a vanilla-plus-chocolate cake, mini vanilla cakes, oreos, and black licorice. 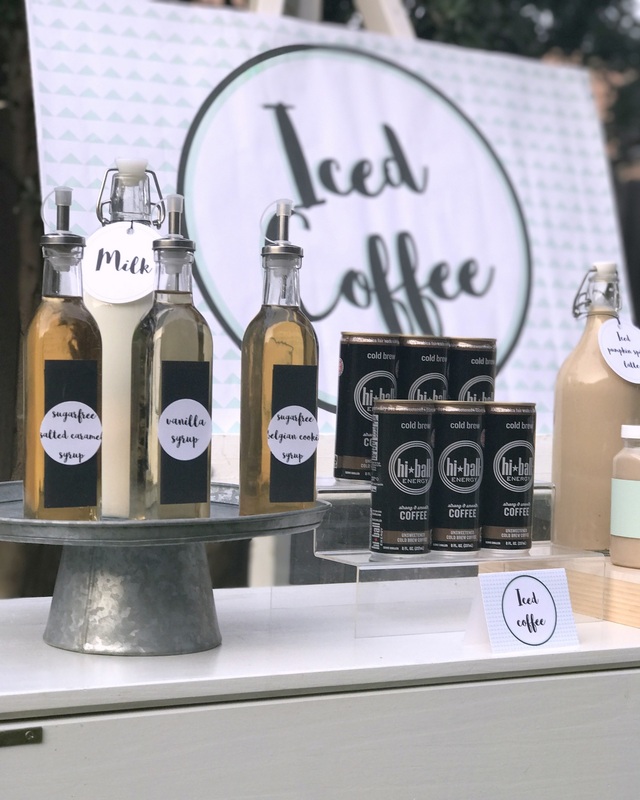 To round out all of the eating (and to pair perfectly with a should-be-fall-but-feels-like-summer brunch), we had an Iced Coffee Bar. I should come clean here- I drink iced coffee year round. 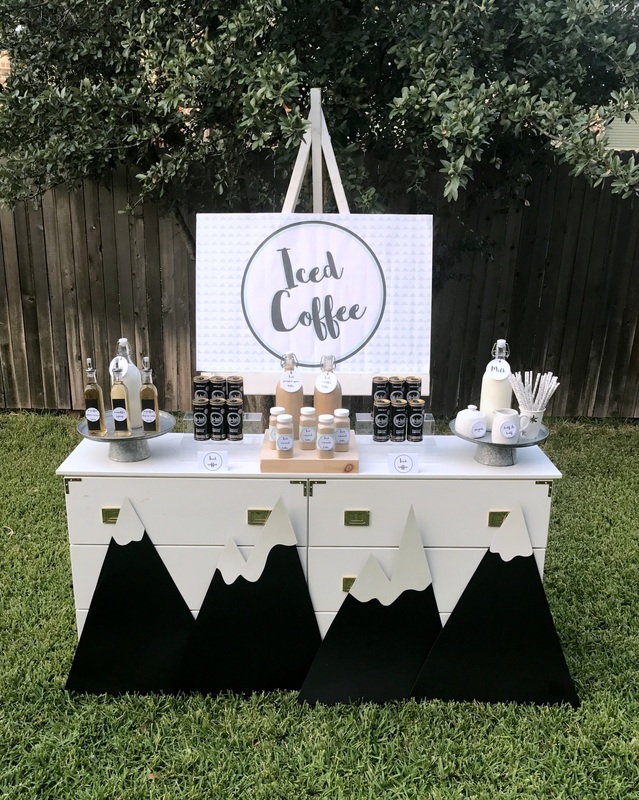 So this little beverage station would be a completely feasible option for me in February. 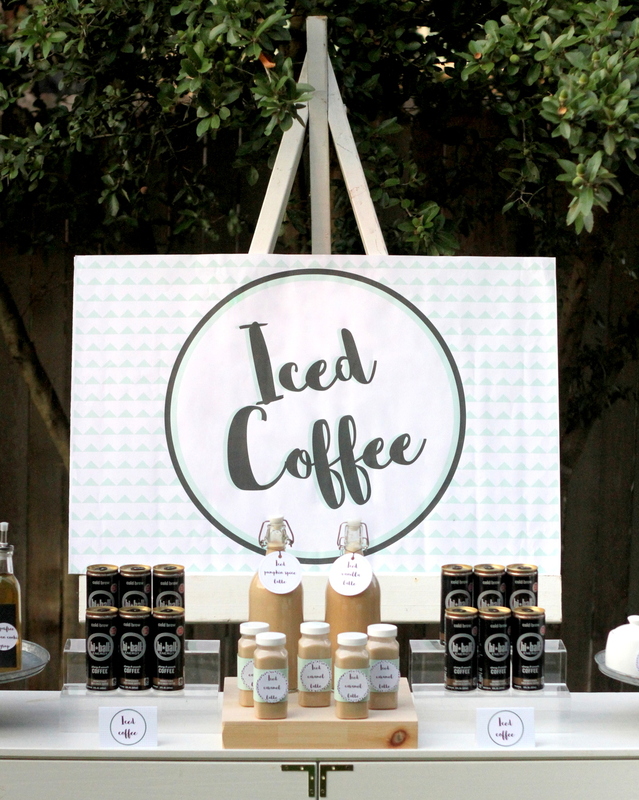 That said- I pretty much loved making all different kinds of iced lattes for our party guests. We also served berry lemonade and fruit and herb infused water. 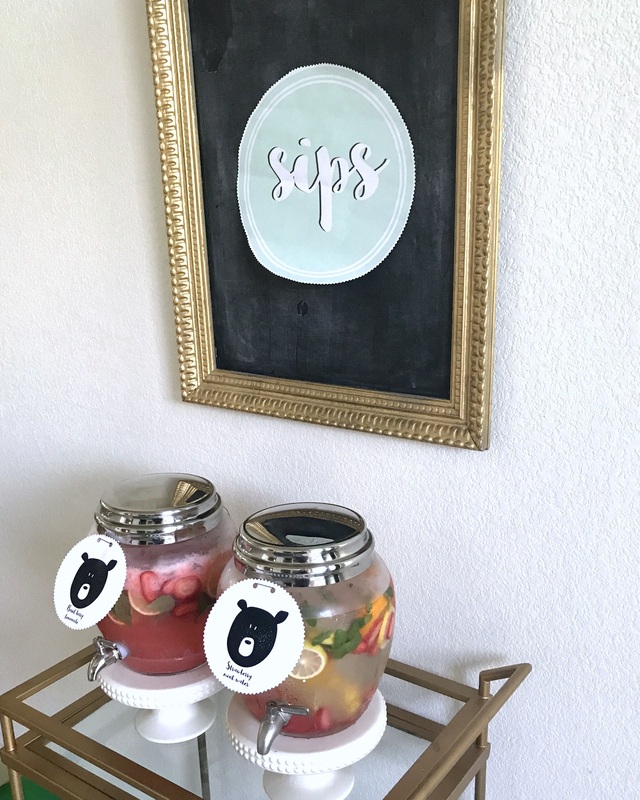 Another confession (I’m feeling extra transparent today, apparently)- I love choosing themes that coordinate with my kids’ rooms because I can just drag all of their room decor downstairs and call it a day. 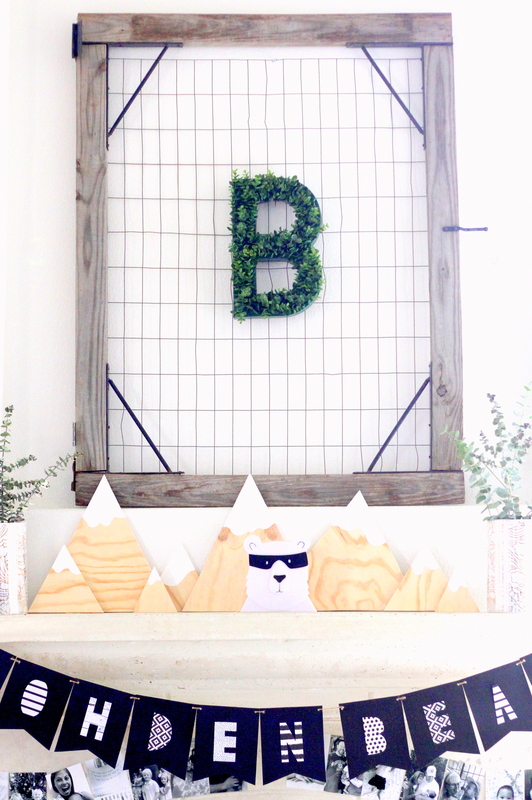 Case in point- the bear nightlight on the mantle, the wooden mountains that I made for Bohden’s nursery, the greenery covered “B” hanging above the fireplace- all of the above are transplants from his mountain-y nursery (I should take pics of his room to share with y’all! 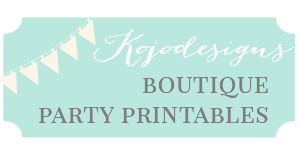 Soon!). 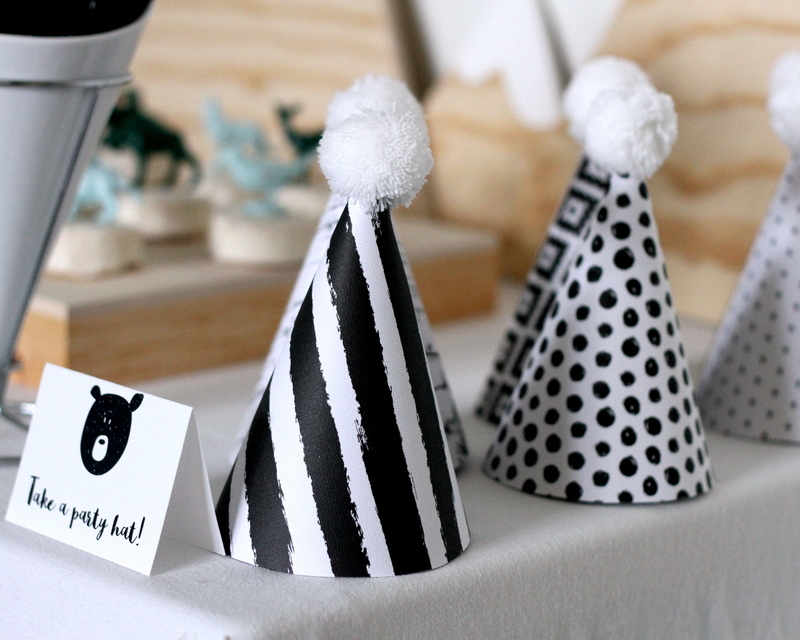 I did make a couple garlands, a pile of black and white party hats, a birthday crown and printed a ton of black and white photos to hang everywhere (compiling those made me cry and cry- how can a whole year pass in a blink?). The kids always sing “Beautiful Boy” to Bohden, so Burke added the lyrics to our felt board for the party. Melt my mama heart. 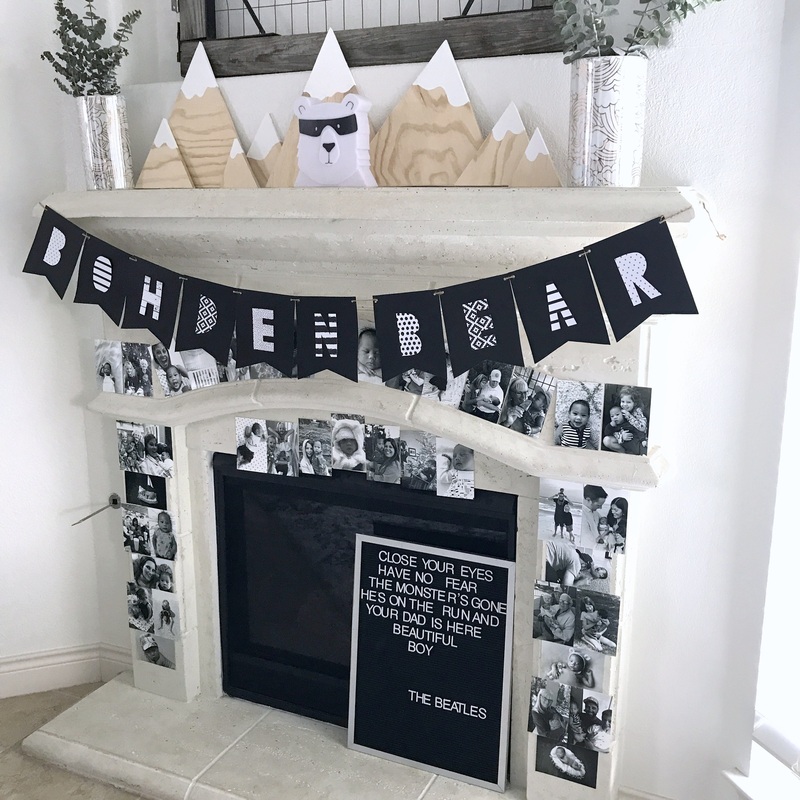 …and I made a pile of black and white poster board mountains (cheapest decor ever since I grabbed the poster boards from DollarTree) and put those in front of allofthethings. 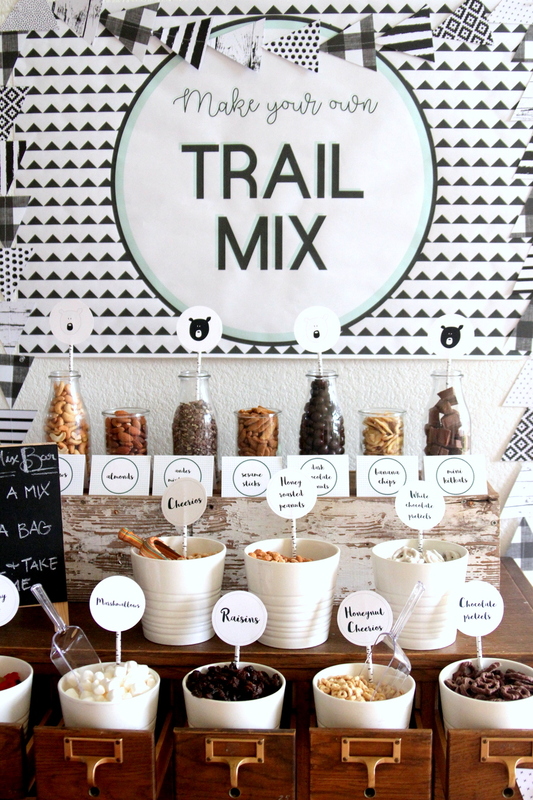 For favors, we had little Trail Mix Bar set up. 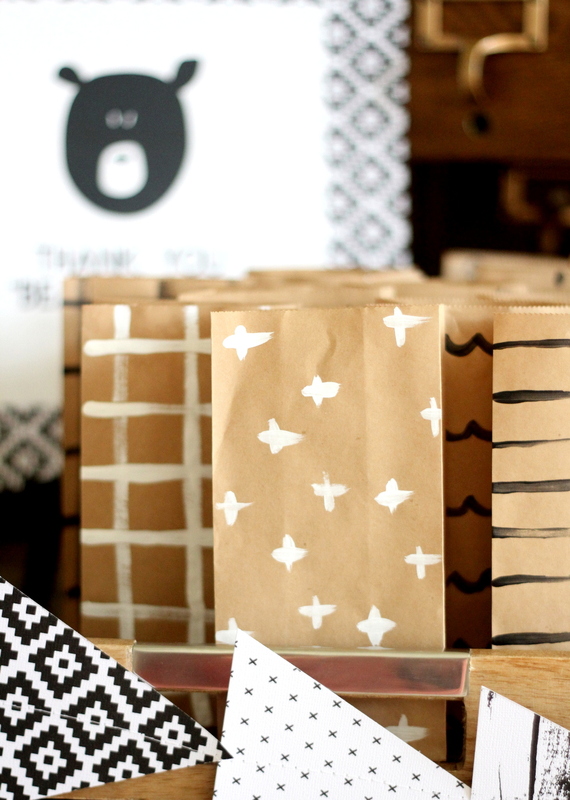 I painted little kraft bags with black and white patterns and shapes for favor bags and printed out bear sticker seals. 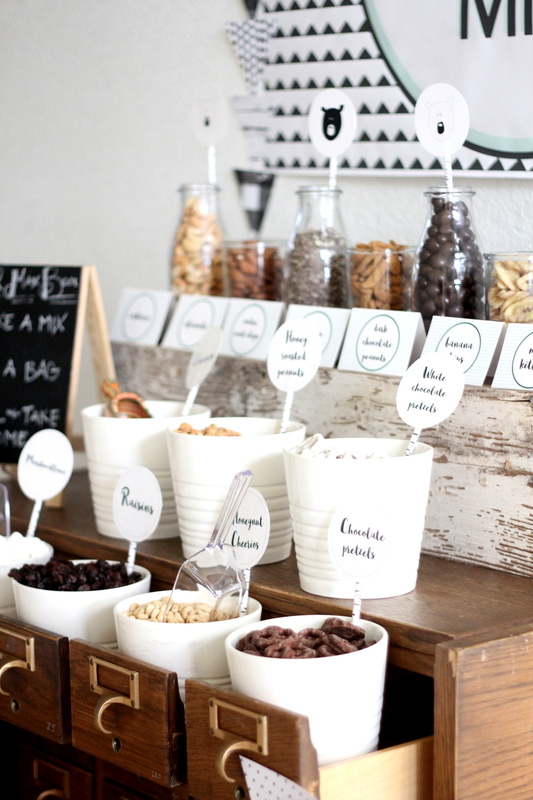 Funny story- at the end of the party pretty much every sugar-y trail mix ingredient was gone, but all of the staples remained. So I’m pretty sure that I sent home a bunch of favor bags filled with marshmallows and chocolate covered pretzels and gummy bears. Sugar comas aside, y’all, it was for real so much fun to celebrate our best bear. LOVE this one. SO MUCH.